A little trip to Frankfurt is lovely any time of year, but are you getting a good deal when it comes to booking a room? 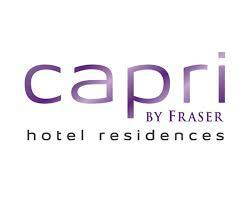 If you want to stay in Frankfurt in style, have a look at some of the discount codes we’ve got to help save money when you stay in Capri by Fraser Frankfurt. Their unique suites and one-bed apartments are unlike any hotel you’ll stay in. They have serviced apartments where you’ll live like a local and not feel like you’re staying in a cramped hotel room. The suites are the perfect base for setting yourself up in when you’re staying in Frankfurt for a few nights and want to see what the city has to offer. If you love staying in trendy spots and need a nice base to explore the city, click on a voucher and see what deals they currently have on their rooms.